EdOptions Academy, Edmentum’s fully accredited virtual school, announces new course approvals from the Virginia Department of Education for the 2018–19 school year. EdOptions Academy has had a total of 243 semester-length courses for grades 6-12 approved for the upcoming school year, which makes Edmentum’s EdOptions Academy the #1 fully virtual course provider in terms of total courses approved in the state of Virginia. Approved courses cover a wide range of core and elective topics, including English, Algebra, Earth Science, Computer Information Systems, and Professional Communications, in addition to a broad selection of Advanced Placement and world language courses. Edmentum and EdOptions Academy show their commitment to providing students with the best virtual learning options by providing solid, research-based curriculum built from the ground up to align with each state’s specific academic standards paired with highly trained, state-certified teachers. 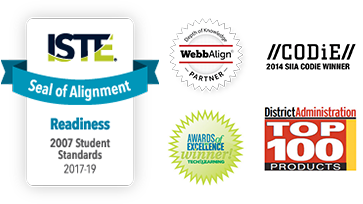 In addition to approvals from the Virginia Department of Education, Edmentum and EdOptions Academy have over 5,500 course approvals by agencies in 30 states, as well as by seven national third-party organizations: AdvancED, ISTE, Quality Matters, the College Board, the GED® Publisher Program, EdCredible, and the NCAA. These organizations set the standards for quality assurance in online learning and help solidify Edmentum and EdOptions Academy as the industry leader in rigorous virtual education. EdOptions Academy courses demonstrate how student achievement is valued by optimizing the virtual learning experience with state approvals and certifications. These new approvals from the Virginia Department of Education recognize the strong alignment of EdOptions Academy curriculum to state specific standards and instructional rigor.